The summer has declared his warm presence. 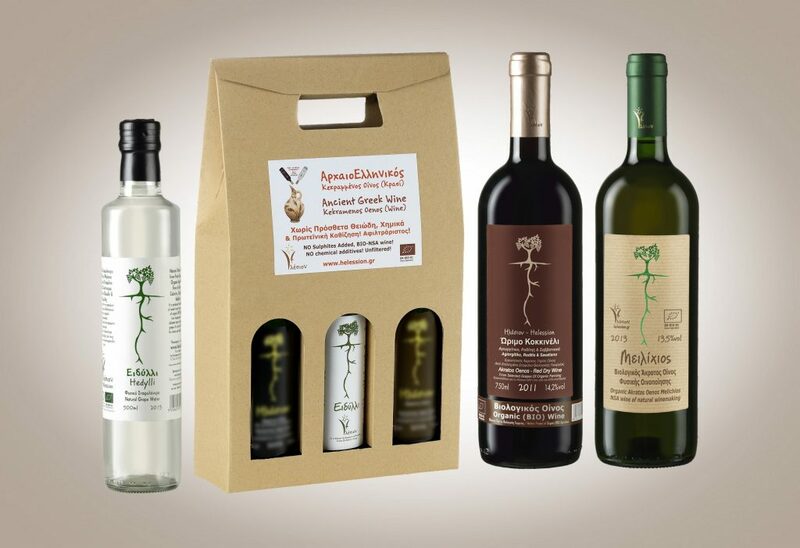 While all the other wines gives their place to beer and ouzo, the Helession’s wines remain dominant at the summer tables thank to… natural innovation and their ancient Greek origin. The innovation is based on the possibility that every wine’s friend can create in the glass his custom wine without adulteration! As light he wants with Hedylli! As natural he wants with Helession wine (Akratos Oenos)! With the rising temperature, there is an urgent need to mix the wine (Akratos oenos) with the Hedylli… like the swimming in a crystal sea. 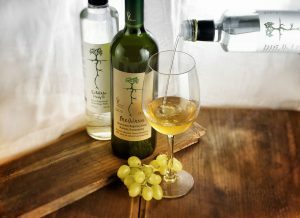 The juice of the organic fresh grape is separated by vacuum and low-temperature in Hedylli and Stafylomelo (grape’s “honey”). 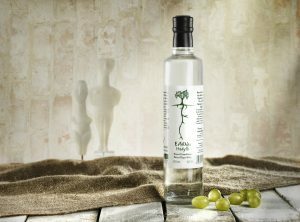 Hedylli, the grape’s dewdrop, contains the volatile of the grapes, mainly water, without alcohol. When Hedylli removed from grape’s juice remains the Stafylomelo, the grape’s syrup namely grape’s “honey”. We are drinking wine with the aura of ancient symposia, without adding preservatives sulfites, in alcohol degrees… inversely analogous to Mediterranean mercury. The winning bet of ancient Greek vinification, the pitch of which grows in the summers. And do not forget that dry wine can be converted to semi-sweet or sweet with adding Stafylomelo… the pure syrup of grape juice. 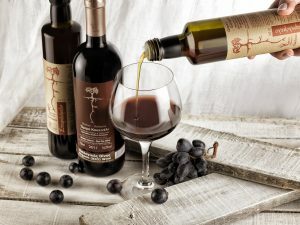 So every wine-friend has the possibility to create his custom wine to the degrees and sweetness he desires at that time! Make the wine as you like … Naturally! More than a Real Organic Wine … More than a Wine without adding sulfites (NSA)… Helession’s ancient Greek wine! 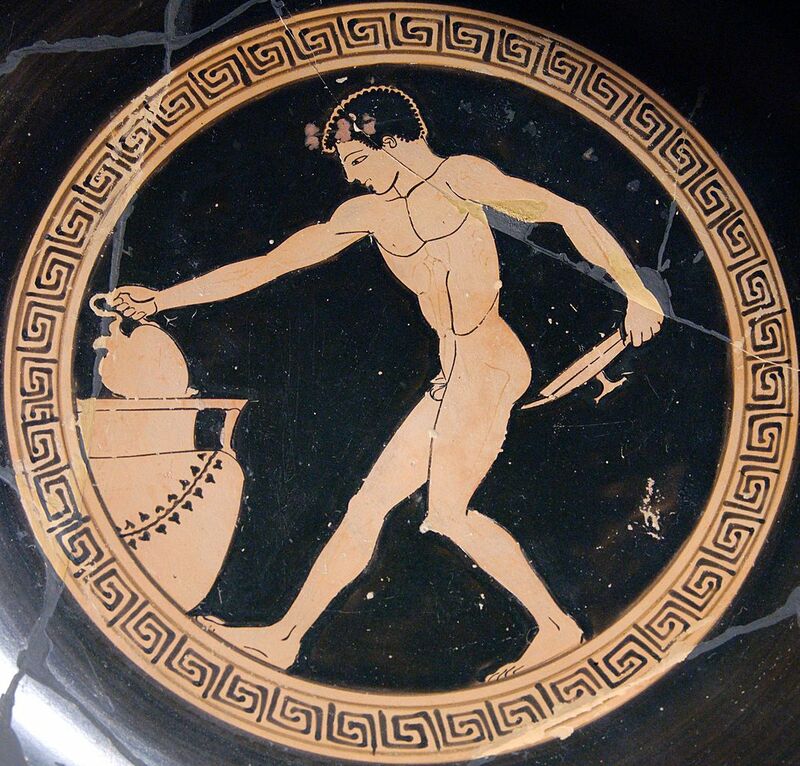 The ancient Greeks in their symposiums did not drink Akratos oenos but Kekramenos oenos (wine) that came from mixing the Akratos oenos with spring’s water or with ice. So they drank wine with the alcohol degrees of their choice for hours, they did not get drunk and they were having fun! 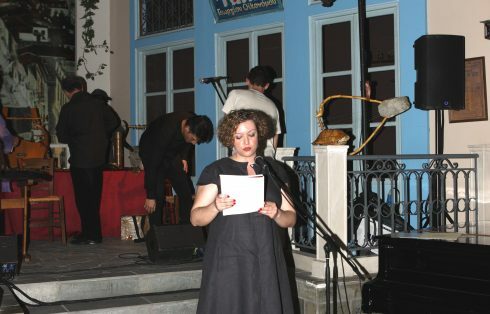 In the end of symposium they were added honey and they drank sweet or semi-sweet wine. As a beautiful theatrical, it will be entranced us this year with the plot and the performance of its great protagonists: Sun, sea, clean air, magic landscapes, cool meals…! In the months that has no “R” wine wants Hedylli!